In the third of a series of articles written by Everything Dinosaur team members, we can discuss the latest news about CollectA’s plans for prehistoric animal models which will be introduced in 2016. There will be a further two additions to the CollectA Deluxe range of scale models next year. Firstly, there is going to be a 1:40 scale model of the Late Jurassic carnivore called Torvosaurus. Fossils of Torvosaurus have been found in Portugal and the western United States, currently two species have been named. 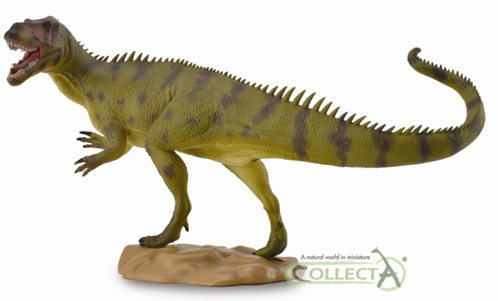 The Portuguese species (Torvosaurus gurneyi), is regarded by many scientists as the largest land carnivore known from Europe, it was certainly an impressive beast and it is great to see CollectA add a 1:40 scale model of this dinosaur to their Deluxe range. To read an article by Everything Dinosaur about the discovery of Torvosaurus gurneyi: The Largest Meat-Eating Dinosaur Known from Europe? Available from Everything Dinosaur mid 2016. Both the original fossils from Colorado and the recently named second species (T. gurneyi) have been found in strata associated with a number of other types of Theropod dinosaur. Dinosaurs such as Allosaurs and Ceratosaurs. 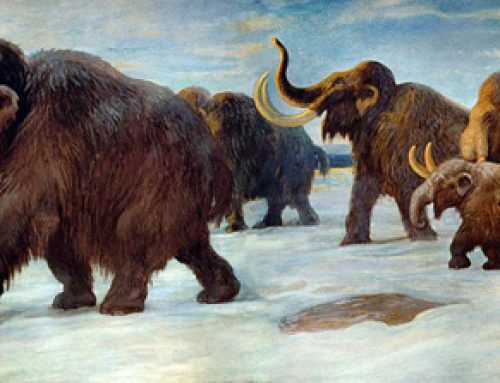 It has been suggested that these large, carnivorous dinosaurs were able to co-exist as they did not directly compete with each other for food. Torvosaurus for instance, had strong forelimbs perhaps these played a role in its preferred hunting strategy. The co-existence of several different types of meat-eating dinosaur has been cited by many academics as an example of “niche partitioning” amongst Theropods. The CollectA Deluxe Torvosaurus has an articulated lower jaw and the model measures twenty-four centimetres in length and the head stands some twelve and a half centimetres high. It was scheduled for production and release in the spring of 2016, but the latest information received by Everything Dinosaur suggests that it will be available around the middle of next year. Joining the Pliosaur and the Rhomaleosaurus in the CollectA Deluxe range next year is this super 1:40 scale Thalassomedon replica. Thalassomedon swam in the Late Cretaceous seas of Colorado around 95 million years ago (the American species of Torvosaurus comes from strata that was laid down in what is now Colorado, however, the Theropod lived some 55 million years before, this elasmosaurid evolved). Like its more famous close relative Elasmosaurus, Thalassomedon had an enormous neck. The neck contained more than sixty cervical vertebrae and this long, but quite inflexible neck made up over half of the animal’s entire body length. The model measures thirty centimetres in length and when measured from the top of that deep body, the model is just over three and a half centimetres high. It is splendid to see another marine reptile added to the CollectA Deluxe model range and it is great to see Thalassomedon rather than a model of an Elasmosaurus, after all the Elasmosauridae is made up of a surprising number of Cretaceous, long-necked Plesiosaur genera. Expect this model to be in stock at Everything Dinosaur by mid 2016. The model is one of the very first large scale production replicas to show evidence of a tail fluke that at least some species of Plesiosaur may have possessed. The name Thalassomedon is from the Greek, it means “sea lord”. Talented designer Anthony Beeson, gave us his reasons for choosing to create a Thalassomedon model. A number of other websites and other media sources might be announcing the addition of two mini prehistoric animal model sets to the CollectA range today. For Everything Dinosaur, these two sets of mini prehistoric animal models, with each box set containing ten very well crafted replicas, have been in stock for a while now. Ten super prehistoric animal models in the set. A set of ten beautiful prehistoric animal models. *Xenophon was a Greek historian, writer and soldier who chronicled the conflicts that occurred in the late 5th and early 4th Centuries B.C.